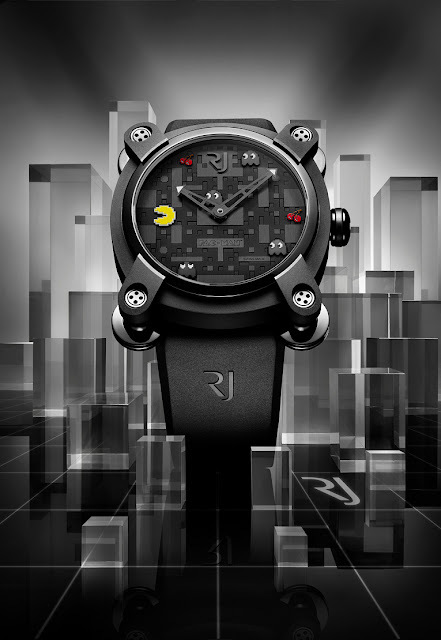 Love or hate Romain Jerome’s unusual take on watches, no one could ever accuse him of taking the tried and trusted route to haute horology. His latest offering to the watch world is a limited series of 80 watches inspired by the cult of PAC-MAN™. Developed in association with NAMCO BANDAI Games Inc., Romain Jerome has brought the famous yellow chomping character back to life with four series of 20 pieces paying tribute to what is still a hugely popular video game. PAC-MAN followed the huge success of SPACE INVADERS and reached an even larger audience including a large percentage of female players. When the game was first launched in the United States, its popularity soon overtook that of Japan, resulting in an unprecedented craze called "PAC-MAN FEVER". 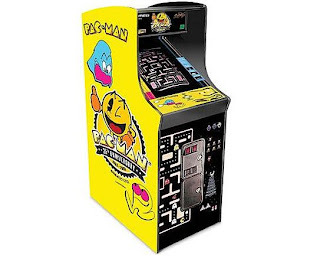 With over 300,000 arcade game units sold all over the world, PAC-MAN remains among the most popular arcade and video games of all time. 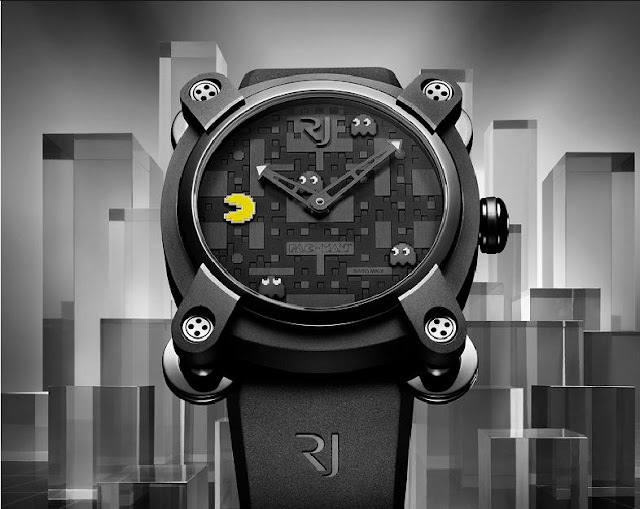 The PAC-MAN watches are housed in the same 46mm case as the earlier RJ Space Invaders watches. The four ball-and socket joints at the corners of the case are functional and designed like the legs of the lunar landing module in American lunar expeditions. Boasting a highly sophisticated construction, and mounted on axles anchored in the case, these ball-and-socket joints hold the lugs of the rubber straps and their mobility make the watch easily adaptable to all wrist sizes. On the back of the watch, a disc made of Moon SilverRJ – a low-oxidation silver fused with moon rocks – reproduces the surface of the Moon. Each of the three dial levels is engraved with a pixillated matrix. The lower two levels are bead-blasted, while the upper level features straight-grained edges. The characters and fruits adorning the dial stem were machined piece by piece, applied by hand and gem-set, and then lacquered, either with different colours or with black superluminova 'green emission', thereby recreating actual game sequences. In June 2005, the Guinness Book of Records awarded PAC-MAN the record for being the "most successful coin-operated game machine". The four versions are described as the ultimate in ‘geek chic’ will be available exclusively available at Colette, in Paris, from September 3 to 8. The pixelated characters will be on show at all RJ-Romain Jerome points of sale from September 10th. Standby for overnight queues in Paris.